Thanks to the silicon printing on the quad muscles areas, you can put your hands on your thighs and push off when climbing without slipping. The reflective logo is perfect for being seen at night and in bad weather. The lighter compression of the Underwear Trail Running shorts (25% less than the Multisport Running Shorts) is particularly suited to longer distances on uneven ground. The fibre and shape of your UNDERWEAR TRAIL RUNNING SHORTSis designed to fit every curve of your body perfectly, maximising performance and comfort. The waist and silicone grip inside keep your back and body straight and offer the perfect feeling of support. The PUSHUP ZONE’S special design provides exceptional supportto the groin area while offering maximum freedom of movement, allowing for great comfort. The PUSHUP ZONE is a mesh fabric made from 100% pure natural fibres for comfort and softness. The cashmere is thermo-regulatory, and thanks to its antifungal and antibacterial propertiesthe copper prevents odours and irritation of the mucous membranes. The silky soft wood pulp is highly absorbent and breathable. The waistband is designed for maximum comfort, whether activity is long and intensive or less strenuous. The innovative fibres used have the OEKO-TEX world-renowned inspection certificate. 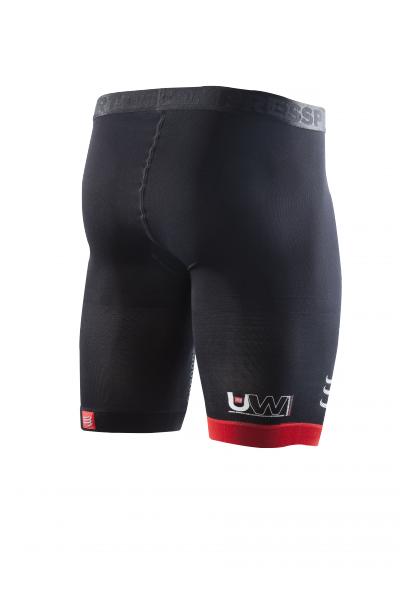 Like all COMPRESSPORT® products, the UNDERWEAR TRAILRUNNING SHORTS benefit from a 2-year replacement guarantee and users can get their money back if they are not satisfied within 30 days of purchase.